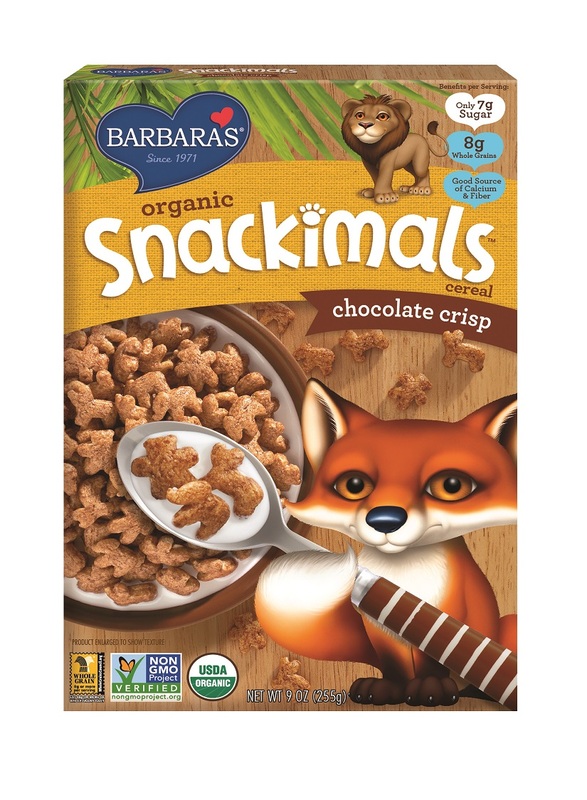 Today is National Cereal Day and in related breaking(fast) news, Barbara’s (maker of wholesome, non-GMO cereals and snacks) is celebrating its 45th Anniversary, marking four decades of the brand’s leadership in the cereal aisle. 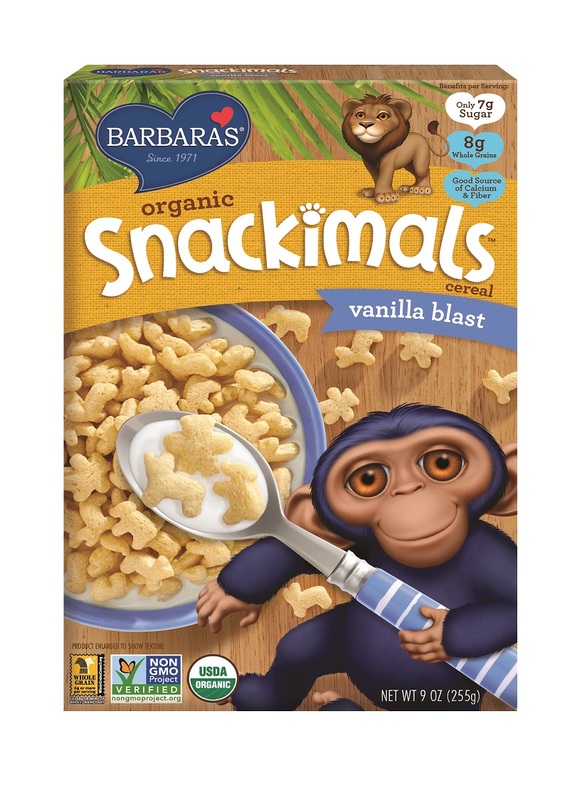 Barbara’s is a brand known for making delicious cereals and snacks from simple, wholesome ingredients. Now is the time to try this cereal and see how you can start having a “better for you breakfast”. Cereal is one of America’s most common breakfast foods, many mainstream options are loaded with sugar and artificial ingredients. I try and stay away from overly sugary cereal. and really prefer these more wholesome types of cereals! Everybody’s favorite—ultra crunchy corn and oat pillows sweetened with molasses for a heart-healthy 5g of fiber and just 5g of sugar. They cereals are lightly sweetened to perfection and just they way I like cereal... tasty, crunchy and not too sweet. 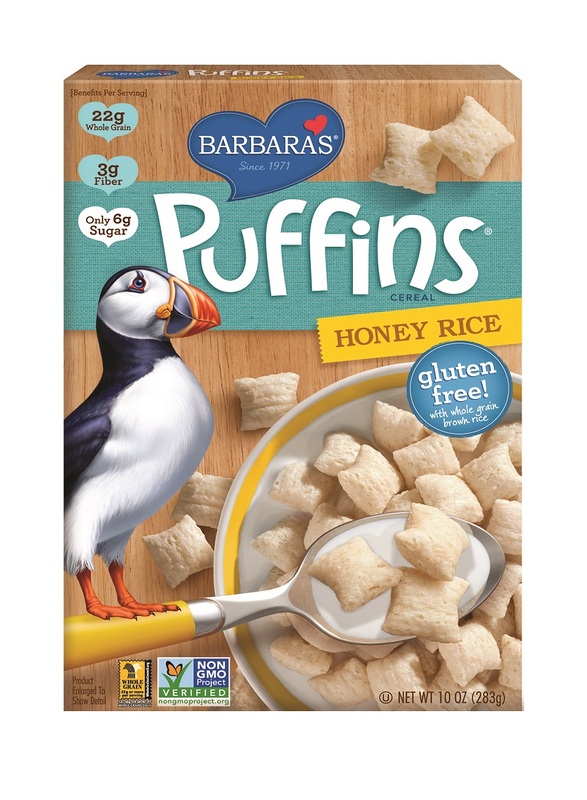 You can taste the honey on the Honey Rice and the Puffins Original as super crunchy. It is fun to mix the cereal too! At Barbara’s, they believe food should be simple. Simply made and simply delicious! 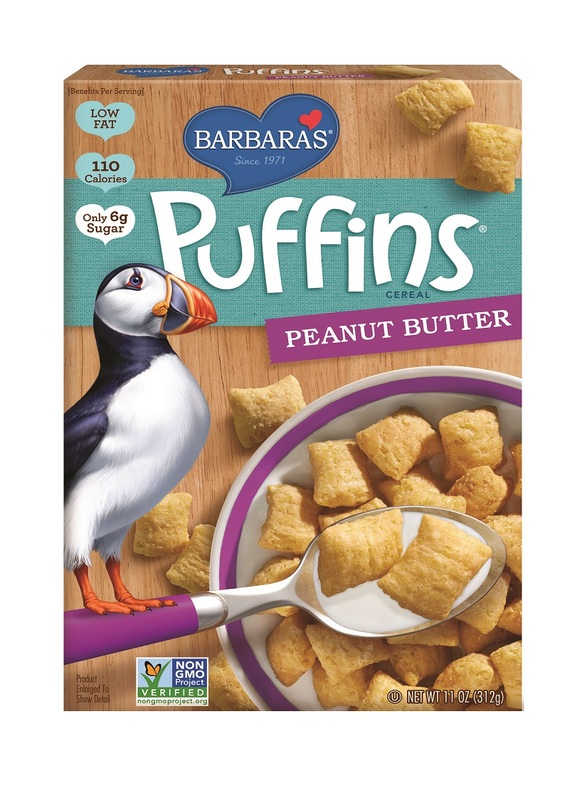 Discover Puffins and all the other great cereals from Barbara's today and see what you have been missing!